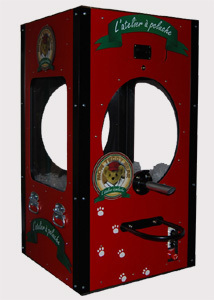 Teddy Bear Stuffing Machines produced by My Pawfect Bear are proudly manufactured in the USA! 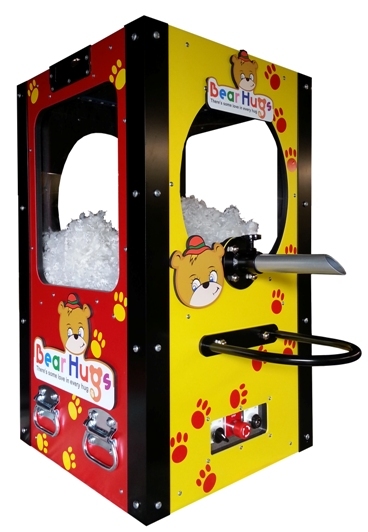 We have been manufacturing Teddy Bear Stuffing Machines for over 10 years and have sold hundreds world wide to all major continents and some not so major! We use only 1st quality materials and parts; we assemble each machine with QUALITY, DURABILITY AND RELIABILITY as our number one priorities! 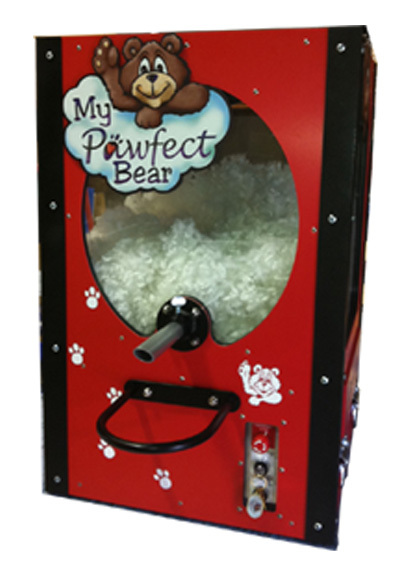 My Pawfect Bear Teddy Bear Stuffing machines are built with CE certified parts and components to completely meet all overseas regulations. My Pawfect Bear products and services are delivered with confidence and come with our quality assurance guarantee and 100% support! 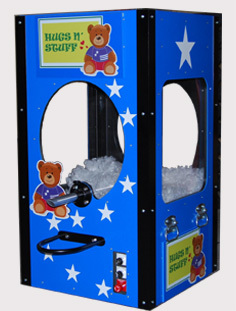 All of our Teddy Bear Stuffing Machines can be personalized to display your company name and your logo! Exposure is key in today's environment...the more people that see your name the better it is for your business! 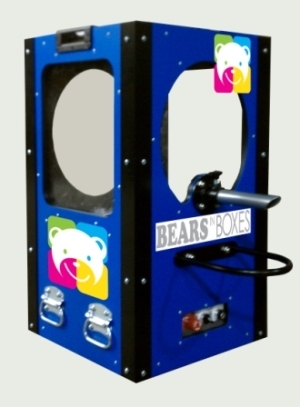 The Mini Bear In A Box is ideal for a portable venues including birthday parties, school fundraisers, company picnics, high school lock-ins and college special events, to name a few...The Bear In A Box Mini Teddy Bear Stuffing Machine is also ideal for an FEC/CEC or storefront location! 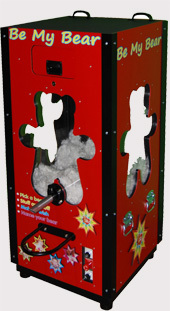 The Bear In A Box is the largest of the Teddy Bear Stuffing machines and is perfect for any large off site special event venue or an FEC/CEC and storefront locations. 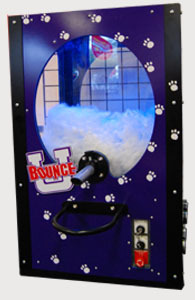 Your Company Name can be displayed on your machine and this machine can be put on a portability pak for easier transport. 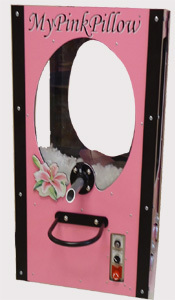 This also makes the Bear In A Box Mini a stand alone machine and does not have to sit on a table. 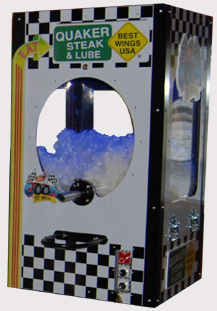 This machine can also be put on a portability pak for easier transport. 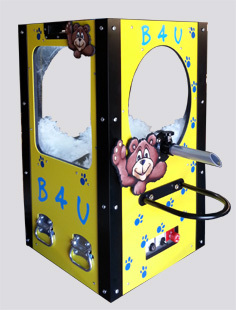 The portability pak makes the Bear In A Box a stand alone machine and does not have to sit on a table. 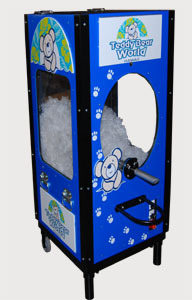 My Pawfect Bear Teddy Bear Stuffing Machines can proudly display your company's name and logo! We also have the ability to design and build a retail display unit that will fit perfectly in your location and your budget! It happens to the best of us... you misplaced your keys... not to worry, we sell the spares!..